Wilmar provides palm oil to Kellogg’s and other producers of consumer goods. Some children started working from the age of eight years onwards and all were below 15 years of age. Most of the children help their parents in the afternoons, after attending school, and on weekends and holidays. However, some children have dropped out of schools and work for all or most of the day. Children carry heavy loads, as they have to carry sacks of loose fruits and some transport wheelbarrows full of heavy palm fruit bunches over uneven terrain and narrow bridges. They run the risk of injuries from repetitive movements, carrying heavy loads and from working in an environmental where they are exposed to chemicals. The company did not deny that children had been seen at work, but said that it discouraged the practice. Amnesty International describes that response as insufficient, and says the company may be breaking the law. In addition, Amnesty International found evidence of forced labor — specifically involving women: “Amnesty International documented cases of foremen threatening women workers in plant maintenance units with not being paid or having their pay deducted in order to exact work from them.” It also reports that some of Wilmar’s subsidiaries do not pay workers a daily minimum wage if they fail to meet their harvesting quotas. Amnesty International points the finger directly at Kellogg’s, among other companies, saying that it is “sourcing palm oil from refineries where the palm oil has been directly supplied or, at the very least, been mixed with palm oil produced on plantations where there are severe labour rights abuses.” The organization reports that neither Kellogg’s nor any of the other companies had done enough due diligence to determine that child labor was being used in their supply chain. Kellogg’s referred to using an audit program to review its suppliers’ facilities in high-risk categories or high-risk regions. However, the company revealed that both palm oil and Wilmar will only be assessed in 2017 as part of its Global Supplier Code of Conduct. This indicates that to date no human rights due diligence has been conducted on Wilmar. The company’s response to Amnesty International is included on the organization’s website. In it, Kellogg’s says that it respects human rights and only uses palm oil from Wilmar in Pringles sold in China. Kellogg’s purchased Pringles from Procter & Gamble in 2012, and Wilmar has been an essential partner for Kellogg’s in China. The Pringles brand is essential to Kellogg’s overall growth and profitability. In its most recent quarterly report, Kellogg’s states that Pringles sales in the Asia/Pacific market “continued to grow at a double-digit rate,” despite decreased sales of other Kellogg’s products elsewhere. 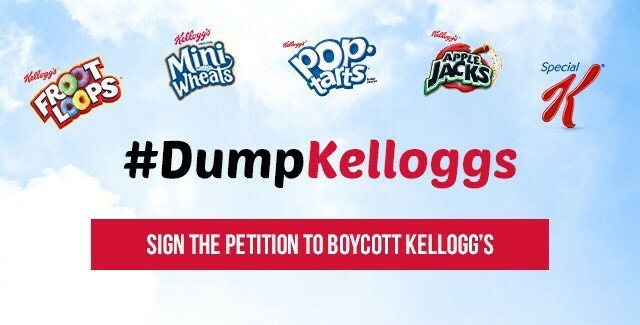 Kellogg’s uses palm oil in products like CrunchyNut clusters, Pop Tarts and Nutri-Grain. However it denied that the palm oil in these products comes from Wilmar. Kellogg’s confirmed that Pringles in China are made using palm oil from Wilmar and from a refinery linked to the plantations Amnesty International investigated. Chinese Pringles are made by a joint Kellogg’s-Wilmar joint venture. 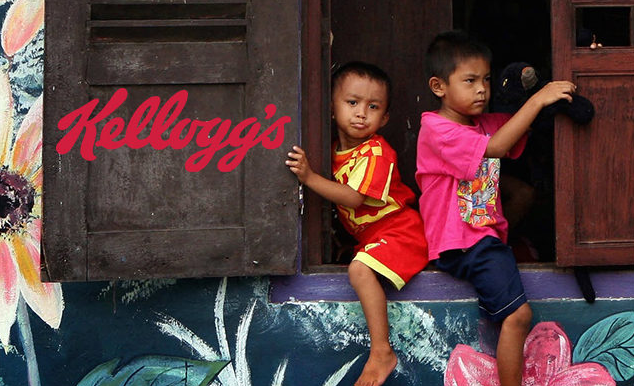 The Amnesty International report also urges Kellogg’s “immediately” to exercise proper due diligence; to pressure Wilmar to stop using child labor and other exploitative practices; and to compensate the victims, among other actions. “You can be sure that if one of these companies’ products were contaminated and had to be taken off the shelves of supermarkets, they would ensure that they could trace the source to specific plantations.